KPI has developed an application designed to migrate complex FSG reports from Oracle E-Business Suite into Financial Analytics. What is Oracle Financial Statement Generator (FSG)? FSG is a report-building tool for Oracle E-Business Suite used for creating financial statements such as the income statement, trial balance, balance sheet, and cash flow statement. FSG reports are complex to build, difficult to maintain, and do not provide the modern analytical capabilities that exist with Oracle Business Intelligence. KPI Partners has developed a solution that enables FSG reporting on the Oracle Business Intelligence platform. 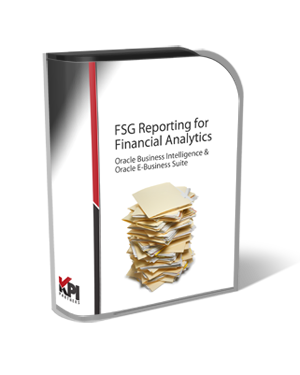 KPI’s FSG Reporting for Financial Analytics migrates existing FSG hierarchies and calculations into the Financial Analytics module of Oracle BI Applications so users can build interactive FSG reports with OBIEE. Using the solution enables any organization to reduce the time and effort involved with migrating FSG reports into a single enterprise standard reporting platform. KPI’s FSG Reporting for Financial Analytics is fully integrated with Oracle Financial Analytics and is compliant with standards for Oracle ETL and BI metadata. 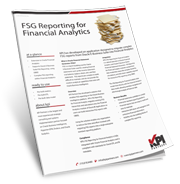 KPI’s FSG Reporting for Financial Analytics is a natural extension of Oracle Financial Analytics and Oracle E-Business Suite’s Financial Statement Generator. FSG Reporting for Financial Analytics includes a proprietary data model that stores the complex hierarchy, calculations, and drill-down capability required for interactive FSG reporting using OBIEE. The FSG Reporting for Financial Analytics data model links directly with the Financial Analytics data model, allowing seamless navigation and drill-through analysis of financial data. 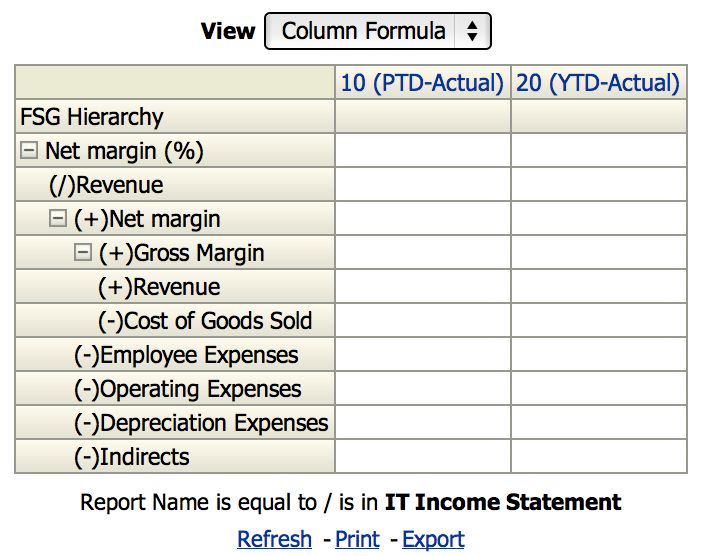 Financial statements available on a single enterprise standard reporting platform. Financial reports that are easy-to-build and easy-to-maintain. Interactive drill-down and navigation into enterprise financial information. Visibility into the building blocks of complex FSG reporting. Storage for FSG report templates, hierarchies, and calculations via a pre-built data model extension to Financial Analytics.